Ah the radish… one of the first crops to come up in the garden. Prep: I whisked the wet ingredients together in a bowl first, then added the radish and fennel. Mix well and serve chilled. 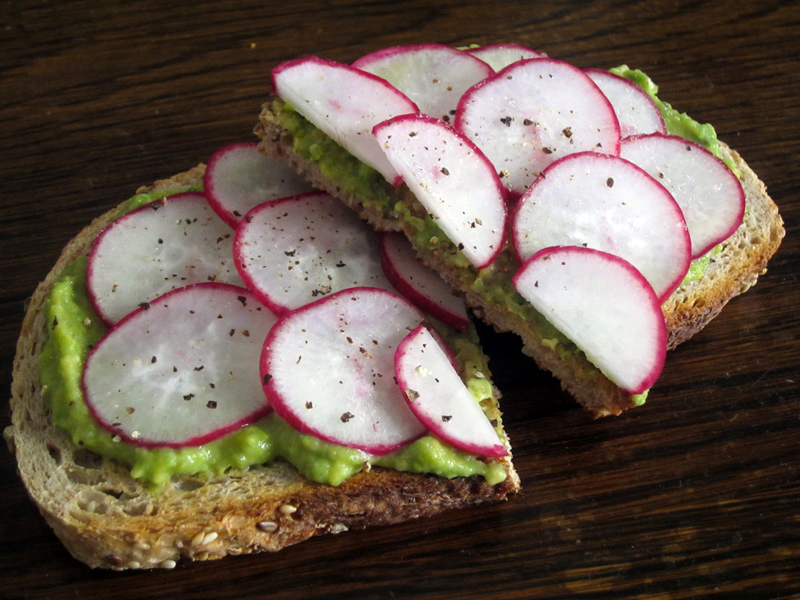 Also, while experimenting with radishes, I enjoyed a snack of radish slices on toast with mashed avocado. 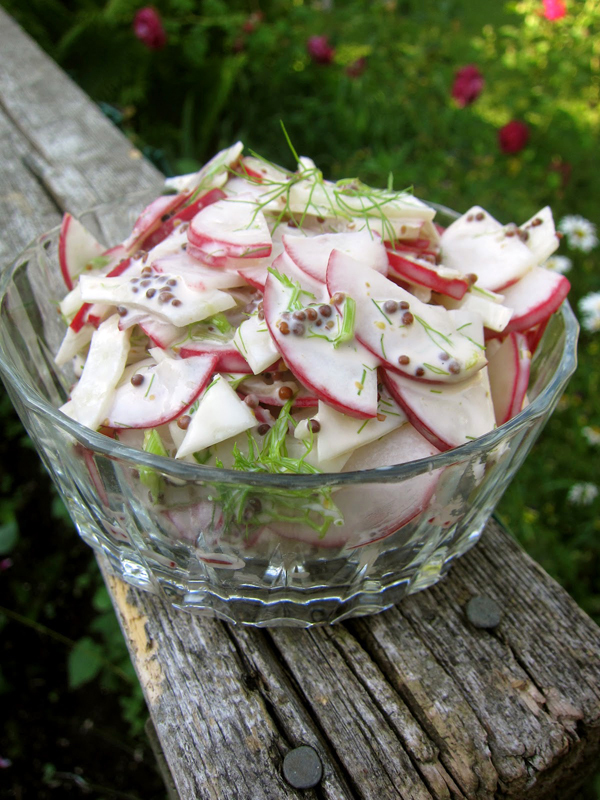 The buttery avo went nicely with the peppery radish with a hint of salt & pepper. Give it a try! Special thanks to DiLiso’s Fine Foods for providing me with more tasty radishes than I could ever grow for recipe testing and general snacking!